Botox & Filler - K. Charles Kim, M.D. 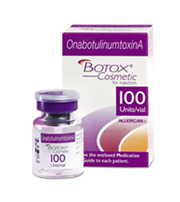 It was manufactured by an American pharmaceutical company called, Allergan, Inc. It was then approved by the FDA and is now widely used. The effects of Botox differ according each individual, reaction to the body, dosage, concentration degree, and accuracy of the injection. It effective period can last up to three to six months and gradually goes back to one’s original state. Therefore repetitive injections are needed to maintain its effects.